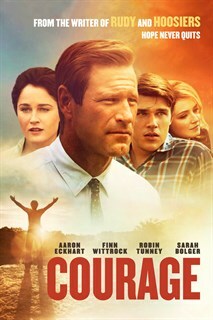 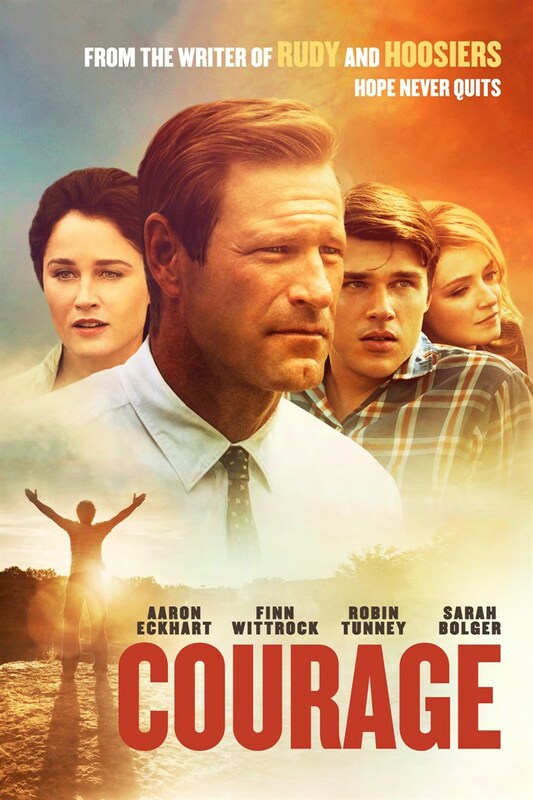 COURAGE tells the true story of Freddie Steinmark (Finn Wittrock), a simple boy with a huge dream. 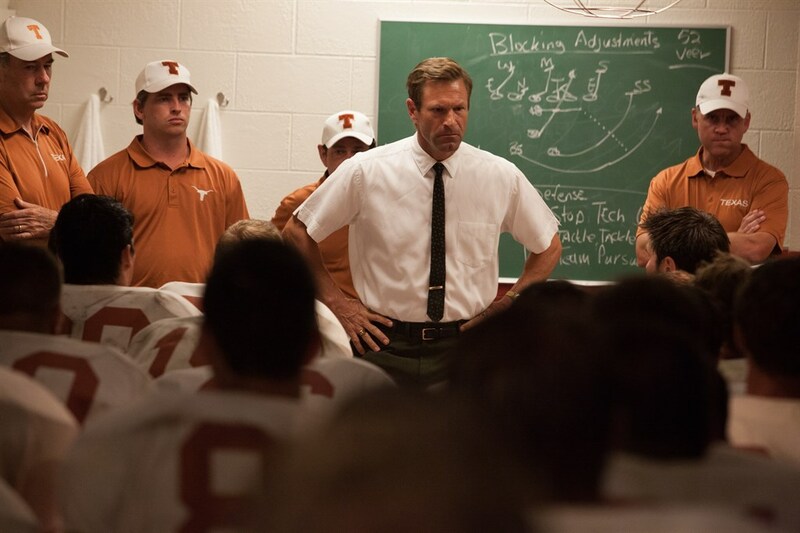 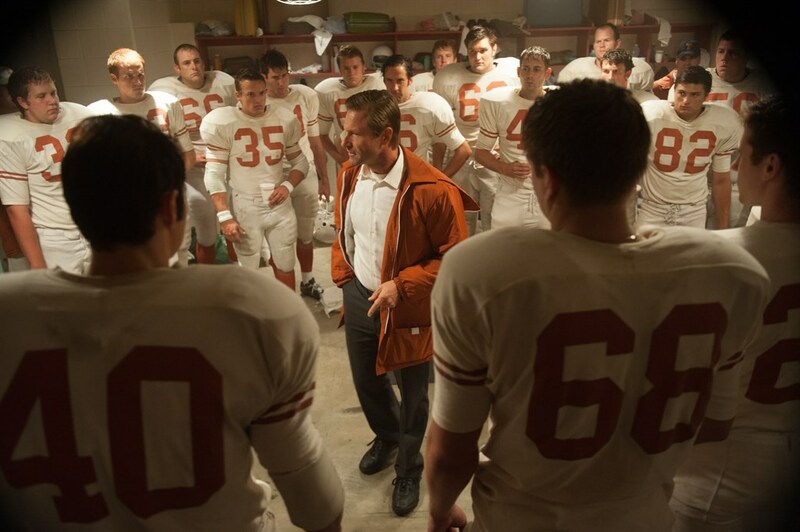 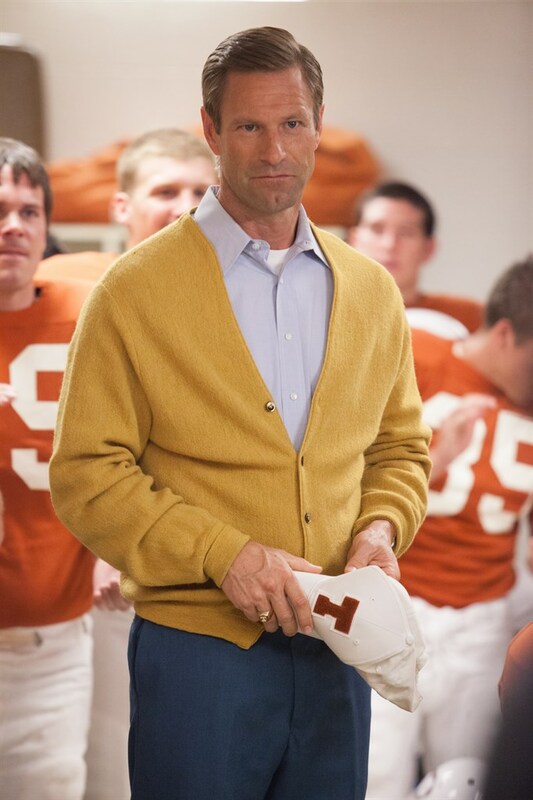 Awarded a scholarship to the University of Texas at Austin, small but scrappy Steinmark gets a chance to play football for coach Darrell Royal (Aaron Eckhart) and the Longhorns in the late 1960s. 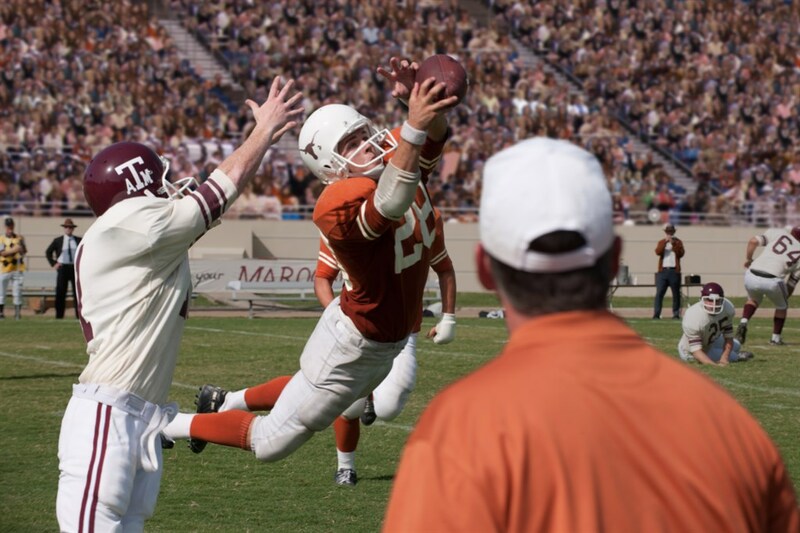 Alongside old teammate Bobby Mitchell and new friend James Street, Steinmark helps the Longhorns find success. 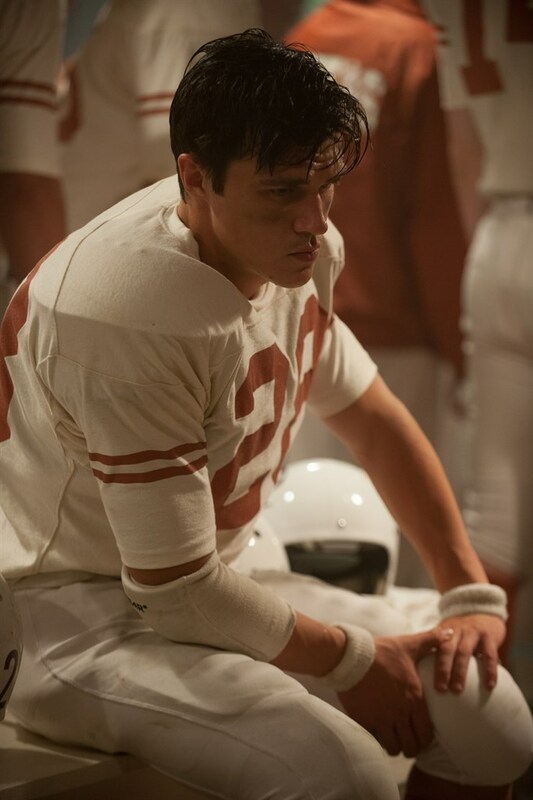 But when Freddie suffers an injury that leads to a shocking diagnosis, the young man must utilize his indomitable spirit and courage to rise to the challenge, like a true champion.